After a disastrous roof-collapsing incident at Greendale, Deal Pelton hires Francesca "Frankie" Dart as a consultant to help improve the school. She's no-nonsense and has very clear ideas on what needs to be done but our favourite study group isn't fond of her methods. Jeff is mad at her getting rid of the liquor, Britta is mad she's insulting her ability to run Shirley's sandwich shop, and Annie is annoyed that Frankie is vastly more efficient than she is. Jeff notes that fixing things too much would make Greendale stop being Greendale. She seems to get on well with Abed, though. The group wants to band together against Frankie, and they ignore Abed's suggestion that they're just overreacting to change. He won't join their secret committee against Frankie. Britta starts to sell booze at the sandwich shop while Abed agrees to work with Frankie to "save Greendale." Abed visits the Sandwich Shop and is sent to the back where he finds that the gang has set up a roaring-1920s bar. The gang is happy that they've raised enough money to save Shirley's shop. Abed is happy to be back with his friends and enjoys some drinks with them. The next day when he returns to work with Frankie, she becomes concerned that his work isn't as good. Abed returns to the bar to enjoy time with his friends and then Frankie comes barging in. As it turns out, she knew about the bar the whole time but she then scolds them for getting Abed involved and claims he deserves better. She also claims he doesn't know any better and it's clear that she's dropped the ball. She has no one on her side now so everyone on campus proceeds to drink and celebrate, doing just as they please. Frankie leaves the school and then Greendale is left without insurance but Jeff tells Dean Pelton to just use what was her salary to cover the cost. But the drunken shenanigans begin to lead to people getting injured. With the medical bills and lawsuits, the group realises they need to buckle down and be serious. Jeff and Abed go hunt down Frankie at her job application and they give her a "montage" of apologies along with the promise that she won't be making much working at Greendale but she agrees to come back, particularly since the job she was interviewing for wasn't about to hire her anyway. She brings out her binder and prepares to implement various plans to save the school. 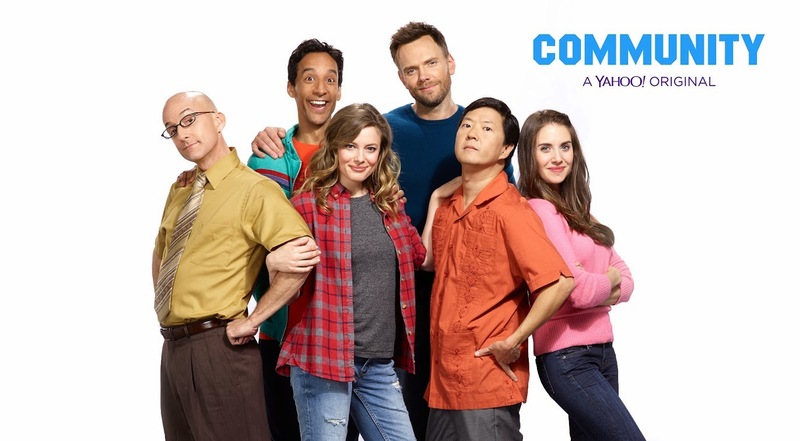 Community airs on Tuesdays on Yahoo.